To complement the silver theme currently on show at Belton House, this display of some 46 silver spoons has been produced especially for this exhibition by members of Contemporary British Silversmiths. 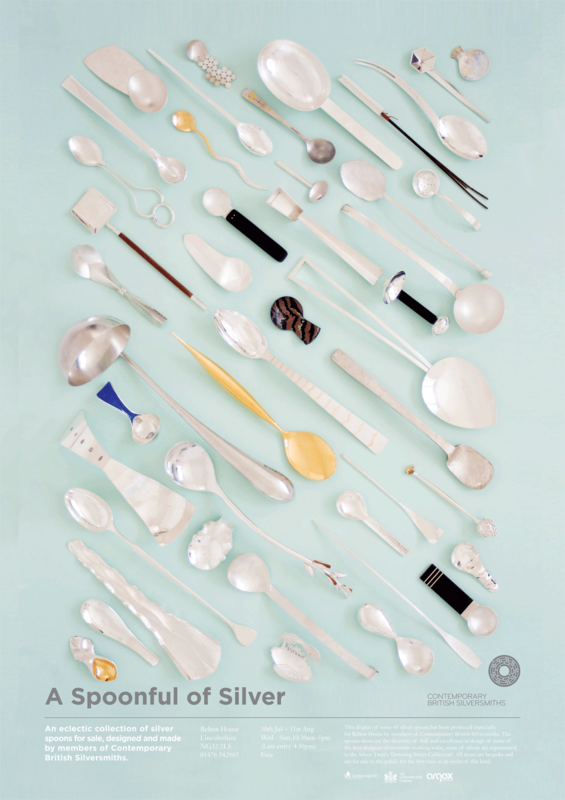 The spoons showcase the diversity of skill and excellence in design of some of the best designer silversmiths working today, some of whom are represented in the Silver Trust Collection at Downing Street. All items are bespoke and are being offered for sale for the first time at an event of this kind.